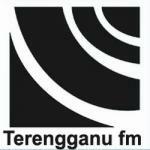 Terengganu Fm is the one of the best online radio station on Malaysia. Terengganu Fm has been started to broadcast LIVE. They live broadcasting from Kuala Terengganu, Malaysia.